With the 3D printers becoming the next generation of printing technology, there is a craze in the market for the best printer, one which will not only guarantee quality of the printed material but also ensure the production speed. As the technology is still evolving, the 3D printers are getting updated, with new parts being added and the old ones being removed to increase the efficiency of the machine. As a result, different 3D printers are available in the market, from where it’s quite difficult to choose which one will be ideal for you. To avoid such drastic conditions where you will be lost about your choice, here are the best 3D printers which will make your work easier and of optimum quality. Coming from the hands of XYZ Printing, this machine is quite small, and somewhat quiet. This means you won’t feel a headache coming with the loud blares which are usually associated with the 3D printers. Filaments will be given from the company only but you won’t be able to use some other filaments. 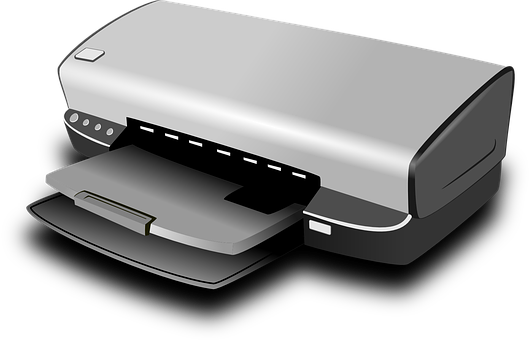 The best part of the printer is fact it is compatible to most of the software and offers an easy user interface. Though no extra coverage is there in the pre-built, complex printer design, it’s fun to print the models at a rate of 55mm per second. There is a built-in software which allows you to work even in the complex software platforms. The slicer can be of your choice because there is no such restriction. Also, choose the filament of your choice which will give you an upper hand over the designs you want to create. Anycubic I3 Mega comes with no protective cover which makes it slightly deranged but on the other hand, it is one of sturdiest printers being made from metal frames. The build plate has a strong adhesion feature which won’t let your print fall off. The best part is the automatic lockdown mode once the printer runs out of filament. And once you start the printer again, it will pick up the printing from where it left, thanks to it’s memory. This is actually the advanced version of the basic 3D printers. If you have a 3D printing course for beginners, then you can easily operate this machine. The best part of this printer generation is the ample number of connectivity options, which includes MAC, Linux, USB cable, Wi-Fi, settings, and so on. The slicer pad is non-heating and you can slide it in and out, thereby easily removing the finished printed model. Another added benefit of the printer is the manual calibration of the building plate to change your designing forms. Without an arm and a printer leg, you can print larger projects as the build plate has a dimension of 11.8”X11.8’’X15.8’’. By far, it is one of the best 3D printers in the list for the beginners, especially if you are looking for a more commercial machine. The printer works well with Windows, Linus, Mac, and XP. The machine won’t come in a compact arrangement, and hence you need to arrange the kit. 200 gm PLA will be offered at first but this machine works well with other kinds of filaments. The user interface is quite simple, thus making it easy for you to understand and also use it to get your desirable print. MakerBot is the one-time investment machine, which will definitely cost you a fortune but in the long run, it will make you a pro from a mere beginner. Now, first thing first, the resolution of the prints is 100 micron which enhances the quality of the print and also, the printer is ten times faster than its ancestors. The cloud network of MakerBot will allow you to store the designs online, and also track your printing status. The build plate has a grip surface which will keep the print in its place, and also will prevent too much warping. If you run out of filament, you will be automatically notified about the same. Working at a resolution of only 50 microns, the printer isn’t going to give you high quality prints. But for the beginners, this is an excellent machine, all thanks to the compactness of the design and the easy to use interface. You can alter the settings as per your own wish, and get your desired printing. It works on the fused filament technology. The cost isn’t too high and so it wouldn’t be too bad if you fail to become a pro in the printing process. Flashforge Creator is definitely a pro as compared to its predecessors, all thanks to the highest quality prints and the speed. The prints are no doubt reliable and durable. The machine comes with a lot of advanced features like dual extruders, a build plate made from metal, a guide rod to grip the print, and even a platform leveling system. The entire frame is made from metal which makes it more reliable. So, with all these amazing printers which are loaded with advanced printing features, durable structures to keep the prints in place, and highly efficient parts, it will be fun in printing various objects, both of small and medium size. As for the beginners, it is advisable to use a machine which will allow them to learn the basics of the 3D printing technology.